Termites (worker caste) isolated in the laboratory have been reported to produce CH4 at rates ranging from undetectable levels to 1.6pmol g-1 h-1 (Brauman et al, 1992; Bignell et al, 1997; Nunes et al, 1997; Sugimoto et al, 1998a, 1998b). Zimmerman et al (1982) first drew attention to the potentially large quantities of CH4 emitted by termites. Their estimates were 75-310Tg yr-1, equivalent to 13-56 per cent of global sources. However, subsequent estimates of annual CH4 emissions from termites have been rather lower, cf. 10-90Tg (Rasmussen and Khalil, 1983), 10-30Tg (Collins and Wood, 1984), 2-5Tg (Seiler et al, 1984) and 6-42Tg (Fraser et al, 1986). More controversially, while acknowledging the uncertainties Zimmerman et al (1982) predicted that under certain scenarios of land use change, the quantities released could equal those of all other natural sources. Since then the subject has been revisited by numerous authors and almost all of the assumptions made by Zimmerman et al (1982) have been overturned, but their contribution remains pivotal and was the first to give attention to the importance of feeding (= functional) group balances in trace gas emissions. Reviews by Sanderson (1996), Bignell et al (1997) and Sugimoto et al (1998b) summarize the available data on gross CH4 production, emphasizing the differences in functional group balances across different biogeographical regions and the importance of obtaining accurate local population data before scaling-up. All three reviews give provisional estimates of the gross CH4 production by termites below, or well below 20 per cent of all global sources, but draw attention to the importance of understanding the interaction between sources and sinks (particularly the local oxidation of CH4 by soil microorganisms) before a final assessment of net termite contributions can be made. 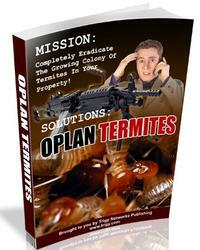 Clearly, the total produced in a colony depends on the emission rate from individual termites and the colony size. The first can be quite easily determined, while the second is generally estimated by a mixture of guesswork and extrapolations (Eggleton et al, 1996; Bignell et al, 1997; MacDonald et al, 1999). Across the entire spectrum of termite species the available data suggest that emission rates within the same caste are relatively consistent, with higher production in workers (the most abundant caste) than in soldiers, reproductives and nymphs (Sugimoto et al, 1998a). As a consequence, most estimates of colony production are based on measurements of workers alone. Any variation of CH4 emission by workers from colony to colony is very critical for extrapolations at all spatial scales. In lower termites, extremely large inter-colonial variation has been reported by Wheeler et al (1996), but higher termites appear to be more consistent across a species and even within genera (Sugimoto et al, 1998a). Early contributions by Brauman et al (1992) and Rouland et al (1993) concentrated on the differences in CH4 fluxes between species and feeding groups in a sample of 24 types of termite from Africa and North America. On a biomass-specific basis, soil-feeding forms were found to produce more CH4 than wood-feeding species, with rates exceeding 1.0pmol g-1 h-1 in some cases. This difference has been confirmed in the African assemblage (Nunes et al, 1997) and in Southeast Asia and Australia (Jeeva et al, 1998; Sugimoto et al, 1998a), by studies in which worker caste termites are incubated under standard conditions. Typical values for wood-feeders are in the range negligible to 0.2pmol g-1 h-1, whereas soil-feeders generally cluster between 0.1 and 0.4pmol g-1 h-1, although some higher rates are reported. Values for species of the fungus-growing Macrotermitinae are variable and range from 0.1 to 0.3pmol g-1 h-1; however, some colonies are very large and even at these relatively low biomass-specific rates, can be significant point sources (Tyler et al, 1988; Darlington et al, 1997). But the outstanding CH4 producers in the Cameroon (Nunes et al, 1997) and Borneo (Jeeva et al, 1998) assemblages are species of the genus Termes, with production consistent between 0.5 and 1.0pmol g-1 h-1. Production by other members of the Termes/Capritermes clade (sensu Miller, 1991) in Thailand and Northern Australia is also high (Sugimoto et al, 1998a). However, some termite species (especially those feeding on sound wood or relatively undecayed material) produce little or no CH4. A very high value of 1.6pmol g-1 h-1 is reported for Incisitermes minor, but in a single colony only; ten others of the same species produced no CH4 at all (Wheeler et al, 1996). Sugimoto et al (1998a) also suggested that there could be large variations between colonies in the same species, an observation which is at odds with what is known of the microbiology of the methanogenic process (there would be debilitating redox imbalances in the intestine) and disconcerting for scaling-up exercises. Although not all literature reports can be compared, there appear to be taxonomy-based differences among the subfamilies of Termitidae (Table 5.1), possibly associated with the preponderance of soil-feeders in the Apicotermitinae and Termitinae. In most cases the proportion of total carbon (C) mineralized emitted as CH4 is small (Bignell et al, 1997). The highest figure in the literature, which shows just over 8 per cent of the total C efflux as CH4, is for the Australian soil-feeding species Lophotermes septentrionalis (Sugimoto et al, 1998a). Four other soil-feeders are reported to produce between 5 per cent and 6 per cent of C efflux as CH4: Megagnathotermes sunteri, Cubitermes heghi, Procubitermes arboricola (all Termitinae) and Jugositermes tuberculatus (Apicotermitinae) (Bignell et al, 1997; Sugimoto et al, 1998a). Note: Arithmetical means of the reported values (number of observations in brackets) and the range of ratios CH4/CO2 are also given. Most laboratory measurements of CH4 efflux are made on termites collected from mounds, but an important observation from the Cameroon study is that only about 10 per cent of all termite individuals sampled at any given moment are present in mounds (Eggleton et al, 1996). Many of the termites not in mounds will belong to species that do not build mounds at all, and others will represent foragers temporarily absent from their nests, but in both cases the physiological circumstances may differ from those of termites within mounds, and there may be a different interaction between the gas produced and the immediate surroundings of the termite. This underlines the importance of having a detailed knowledge of assemblage structure and dynamics, as well as a comprehensive set of in vitro measurements of CH4 effluxes, before scaling-up is attempted. It has become clear that oxidation of CH4 in soils by microorganisms is a significant component of the global budget for this gas (IPCC, 1995), accounting for about one quarter of production from all natural sources, and probably the only terrestrial sink of any consequence (Reeburgh et al, 1993). Oxidation is observed across a range of soil environments from tropical rainforest to tundra, but shows sensitivity to disturbance (for example tree-felling or ploughing), an observation that makes the conservation of natural or semi-natural forest soils of particular importance (references in MacDonald et al, 1998). Primary and old growth secondary tropical forests, which represent (in theory) about 8 per cent of the earth's land surface, but also might contain 66-75 per cent of all termite biomass (Bignell et al, 1997) are therefore of greatest interest in the context of CH4 fluxes. Here there is a potential for oxidation to take place in the soil generally, as well as within nest materials and mound walls. MacDonald et al (1998, 1999) examined the point-scale relationship between CH4 production and oxidation in tropical forest soils, concentrating on the role of soil-feeding termites, which in the absence of waterlogging are likely to be the largest source of the gas. Production was patchy, reflecting large variations in the abundance of termites in the soil profile from one sampling point to another. Sink capacity also varied but was most commonly positive, such that undisturbed locations could always in theory oxidize all the CH4 produced by the associated termites, even where such termites have very high abundance and biomass. Other studies have focused on the role of mound soil as a containment structure and have also shown that oxidation capacity can match the efflux of termite-produced CH4 (Sugimoto et al, 1998a, 1998b). The studies are important because they evaluate the need to factor local oxidation effects into regional and global scaling-up calculations. Rates of CH4 oxidation in soil appear to be primarily controlled by soil physical properties that regulate gas diffusion, such as texture (Dorr et al, 1993), moisture content (Castro et al, 1995) and temperature (Crill, 1991). Inputs of nitrogen (N) (Steudler et al, 1989), pH (Hutsch et al, 1994) and soil organic matter (Czeipel et al, 1995) have also been shown to affect oxidation rates, and soil disturbances such as deforestation and conversion to agriculture consistently decrease the sink capacity (Keller et al, 1990; Lessard et al, 1994). This confirms that the net emission of CH4 from termites foraging in the litter and surface soil is determined by local oxidation capacity, and that both production and oxidation will be highly sensitive to land use changes. Thus, it is important to know whether termite abundance and soil sink strength have different coefficients with respect to disturbance gradients, as this will directly link land use changes to global trace gas budgets. 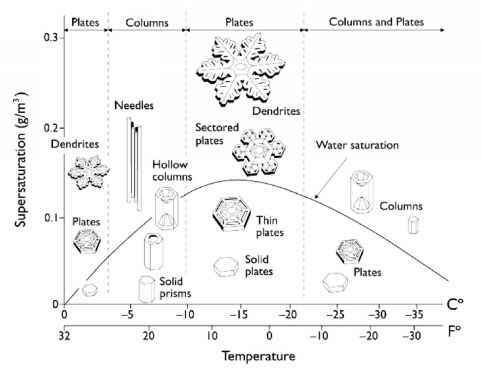 A pictorial summary of the fluxes in primary forest is given in Figure 5.1.